Nokia has just announced a cool new Bluetooth Stereo Headset, the Nokia BH-121 which we have been knowing since a long time with the name Nokia Guru. Nokia Guru had been in rumors since quite long and first it was rumored to be a music player of some sorts but only recently we came to know that it will be a Bluetooth Headset from Nokia. So coming back to the Nokia Guru or the Nokia BH-121 Headset, it can connect to your Nokia Asha or Nokia Lumia through Bluetooth or NFC and the Headset features all the music controls plus there are controls to answer a call as well. 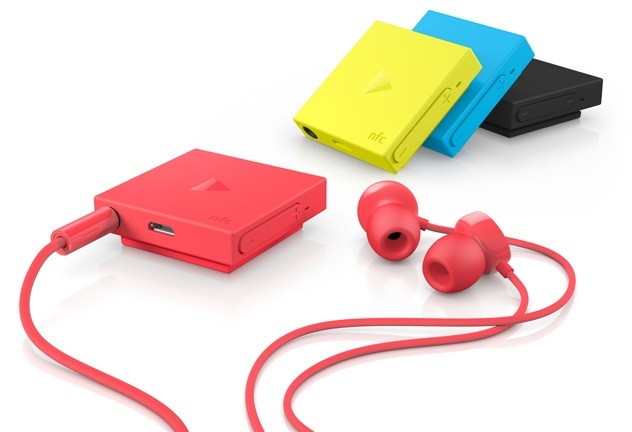 Nokia has also bundled the WH-208 noise cancellation in-ear headphones with the Nokia BH-121. There’s an companion app as well for the cool new Bluetooth Headset for your Nokia phone which will tell you the battery status, it’s last location and connectivity status of the headset. On Lumias, there will be a cool new live tile which will show you the headset’s status. In true Nokia fashion, the Nokia BH-121 comes in cool colors such as cyan, yellow, red and black. It measures 39 x 39 x 12 mm. Sadly it is not compatible with all the Nokia Lumias and Ashas. The compatible Nokia phones are Lumia 1520, Lumia 1320, Lumia 1020, Lumia 925, 625, 525, and the Asha 503 and Asha 501. It is priced at $53.4 which makes it Rs. 3,200 approximately and it is said to hit markets later this month. We find the new Nokia BH-121 Bluetooth Headset pretty cool and if you do as well then we are glad to tell you that Nokia is giving five of them for free. All you need to do is tell them why you need the Nokia BH-121 through social networks like Vine, YouTube etc.. So what are you waiting for go ahead and you might actually win one of the cool headsets.